What do you enjoy the most about mentoring? 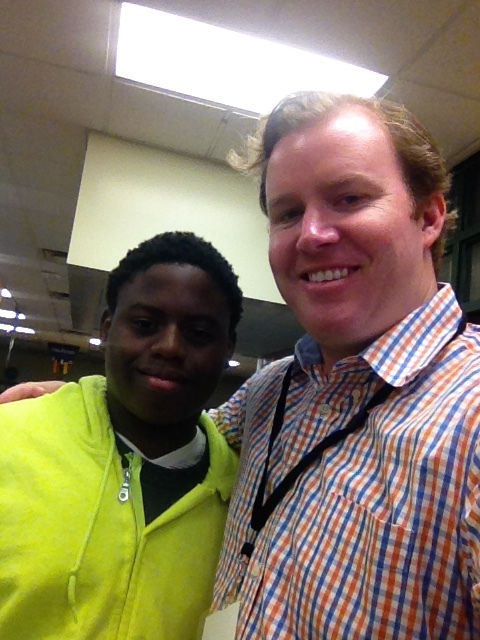 I have really enjoyed getting to know Donald, helping him grow as a student and, more importantly, as a young man. How long have you mentored? This is my third year. What are some of the things you and your mentee do during your session? We usually talk about schoolwork, his home life and the sports in which he is involved. What inspired you to become a mentor? Originally, I was chosen to be a Stein Fellow, which included mentoring Donald. I was also placed with a professional mentor. I liked the experience and Donald so much I decided to continue to mentor through United Way’s Achievers For Life and Big Brothers Big Sisters. What are some goals you and your mentee have set? Our goal is to keep him focused on schoolwork and to continually grow and learn from his experiences. What is your favorite memory with your mentee so far? My favorite experience so far was getting his most recent report card and seeing how much he has grown over the past three years.He has come a long way and had mostly A’s and B’s. Is there anything you would like to share with others about your mentoring experience? I would recommend getting involved with the community in some way.If your heart lies with children and education, I would strongly recommend becoming a mentor to a middle school student because that point in the student’s life is critical. What do you like most about your mentor? I like how easy he is to talk to. What is the best advice you received from your mentor? I like the general advice he gave me about improving and maintaining my grades. He’s been a huge help. What is your favorite memory with your mentor so far? I have too many to choose from! I just really enjoy meeting with Mr. Bruce. What are some achievements you accomplished with your mentor? He helped me improve my grades. It makes me feel more confident.